The Geeta Ashram Youth would like to congratulate our youth and their families for their outstanding performance in their Sijil Pelajaran Malaysia examinations! 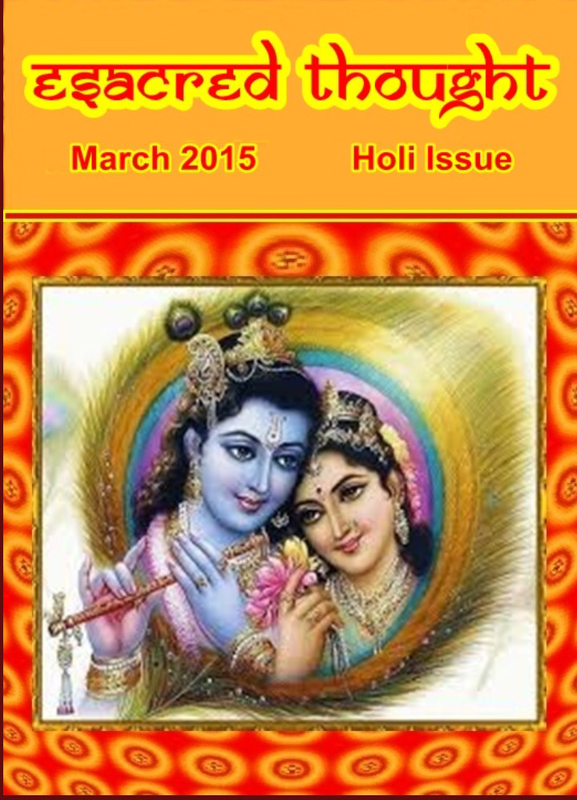 e-Sacred Thought – March 2015 issue! This first issue of esacred thought for year 2015 is now out! 😃 you may enjoy this pearl of wisdom here. Beginning 11th September 2014, Every Thursday, we are indeed blessed to have Uncle Ashok Berumal teach us the fundamentals of the Bhagavad Geeta. In our first class last week, he gave us an overview of the Hindu Scriptures and an introduction to the Bhagavad Geeta. before is undoubtedly to be revered as a master. 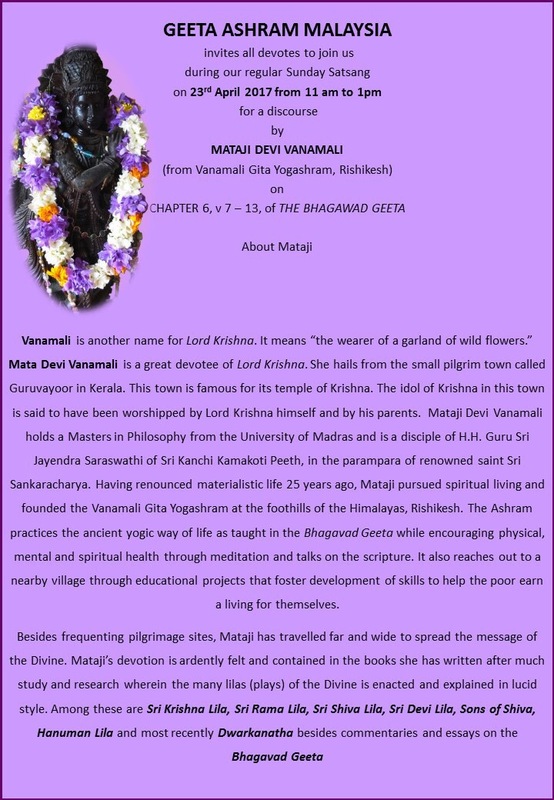 We have had many teachers dedicated to teaching us the Bhagavad Geeta. Our eternal gratitude to Bhagavan Sri Krishna for gifting us the beautiful Bhagavad Geeta – our strength, our answers to life. Our Guru Swami Hari Harji Maharaj, who made it his sole aim to spread the profound message of the Geeta and for giving us the Geeta Ashram in Malaysia – our hub for knowledge, our home, our family. To Guruma Geeteshwariji, who continues to keep our Guruji’s dream alive. To all our teachers in Geeta Ashram who continue to inspire us to be better people. To Aunty Datin Leela Menon and Aunty Shanta Menon, who pioneered our Sunday Classes, where would we be without you? And for the answers you help us find. And for the precious lessons you impart. Pictures paint a thousand words!